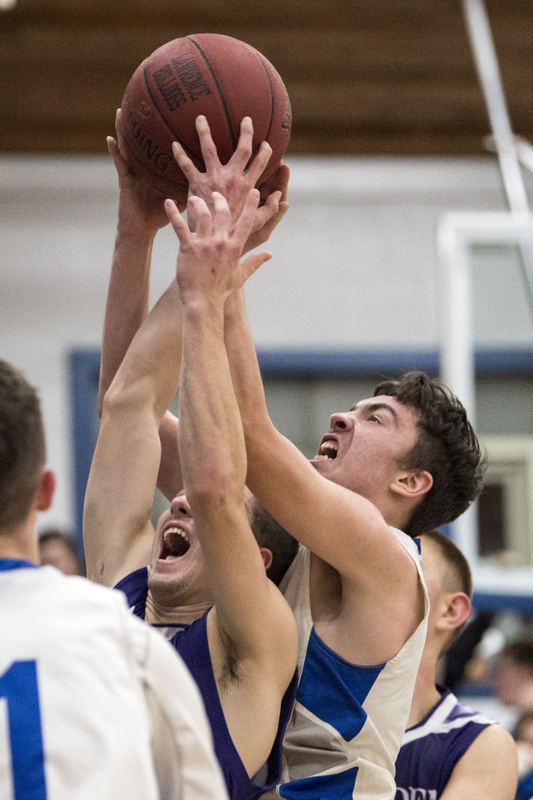 Home › Uncategorized › Shooting woes doom Lawrence boys basketball Hot Hampden storms past Bulldogs in KVAC A rout. Shooting woes doom Lawrence boys basketball Hot Hampden storms past Bulldogs in KVAC A rout. FAIRFIELD — Good shooting can be contagious, but bad shooting, well, that can rip through a basketball team like the common cold, too. The Lawrence High School boys basketball team learned that Friday night. At home against Hampden Academy, the preseason favorite to win Class A North, Lawrence went cold, then got colder. The Bulldogs shot just 5 for 48 from the field (10.4 percent) and the Broncos pulled away with a 52-16 win. Hampden improved to 3-0, while Lawrence fell to 2-1. “I thought our defensive scheme was good tonight. Obviously, they didn’t make shots. 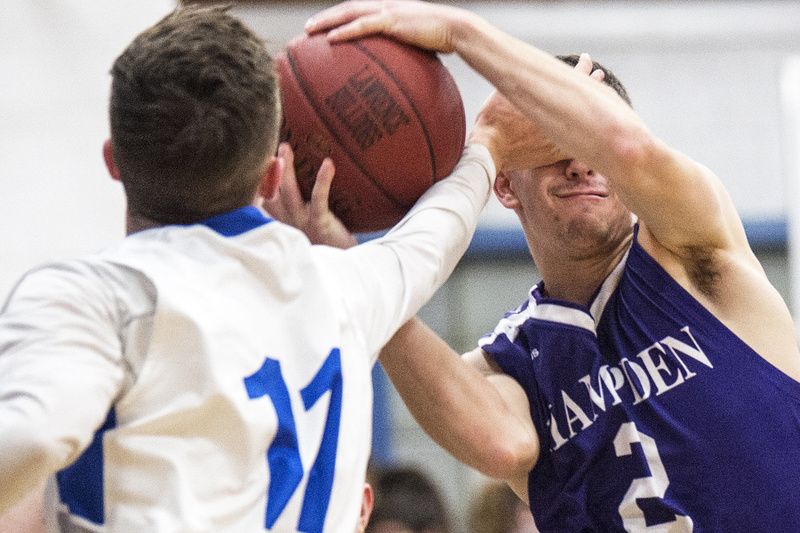 I hope we had something to do with that, but at the same point, I don’t expect them to shoot like that again all year,” Hampden coach Russ Bartlett said. With 4:11 left in the second quarter, Lawrence’s Kobe Nadeau made a 3-pointer to cut Hampden’s lead to 19-8. The Bulldogs didn’t score again until Gavin Herrin made a layup with 6:19 to play in the fourth quarter. That was 13 minutes, 52 seconds of game time that saw Lawrence fail to connect on a shot.